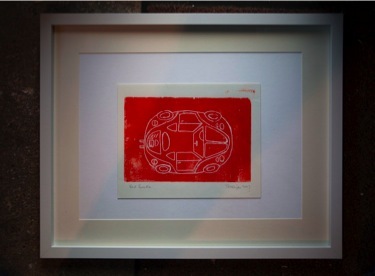 Trevor has made lino cut relief prints for a number of years, either based on designs drawn from nature or from man made designs such as the VW Beetle print. He also uses the linocut method to make a new set of Christmas cards every year. Designs include Three Kings, Virgin and Child, Christmas tree with falling snow, Reindeer, Robin and a Village Church. 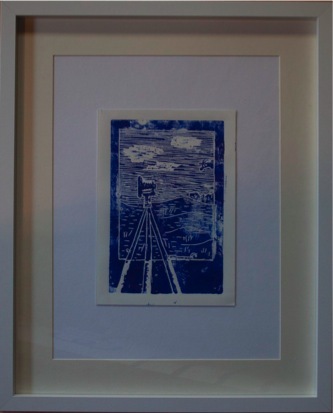 Both Trevor and Alison make intaglio prints, and this is an area they hope to expand by buying their own printing press. 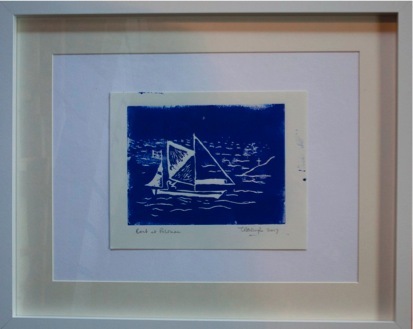 Two of Trevor's prints, a drypoint work and a collagraph have been selected and shown in open exhibitions at galleries in the region. 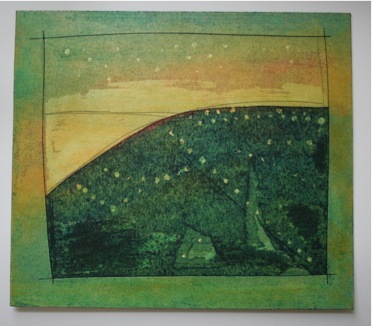 The collagraph method uses a card plate, which is only capable of making about twenty prints. The spent plates, like the one shown above, when framed also form an interesting work in their own right.